Here Is Some of What We Have To Offer. Thank You For Stopping In! Alldredge Gardens is here to serve all of your landscape and outdoor living needs. At Alldredge Gardens we want to inspire all the possibilities your landscape has to offer. 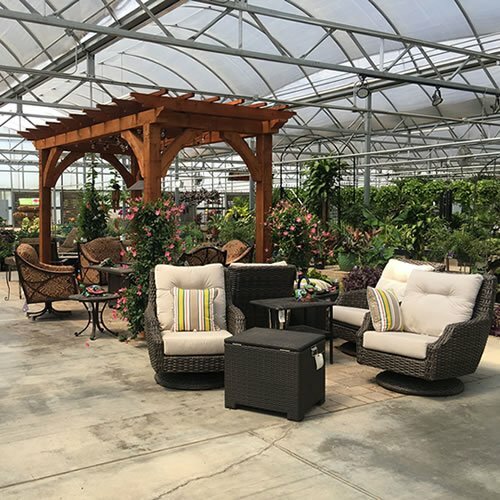 From our full line retail gardening, furniture and gift center to full landscape design, installation and landscape management. We want to meet your unique needs. Dare to Dream! Cook Number grills and grill islands take all the guess work out of grilling. Gazebos and pergolas help to create a complete outdoor living area in a matter of hours; complete with refrigerator, grill, and built-in stereo. Filled with unique gifts, from our holiday decorating, wine accessories and wine cabinets to Sid Dickens wall sconces. 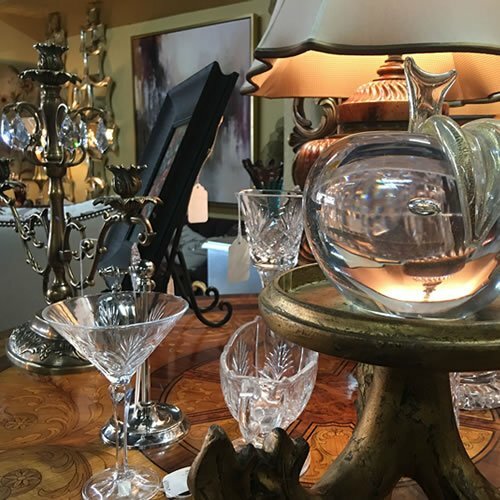 We have thousands of unique items. Come out to Alldredge Gardens for a unique shopping experience. Come experience lunch in a way you will never forget. 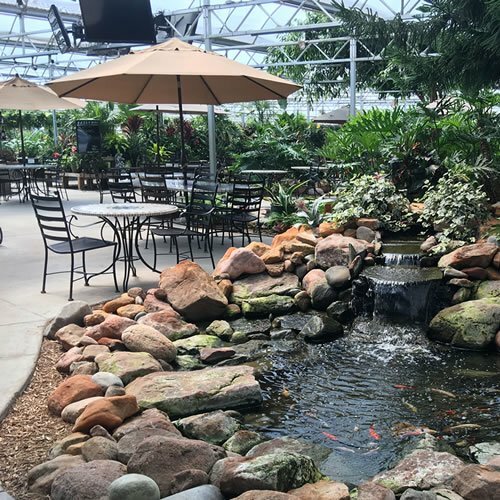 Cafe at the Gardens offers a unique dining experience unlike anything you will find in Midland. The Cafe is open. *Alldredge reserves the right to refuse posting of questions or comments depending on the nature of the content.